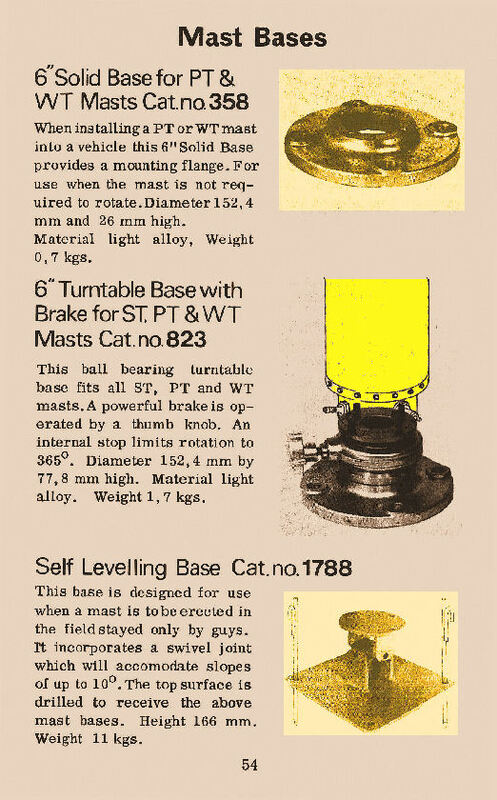 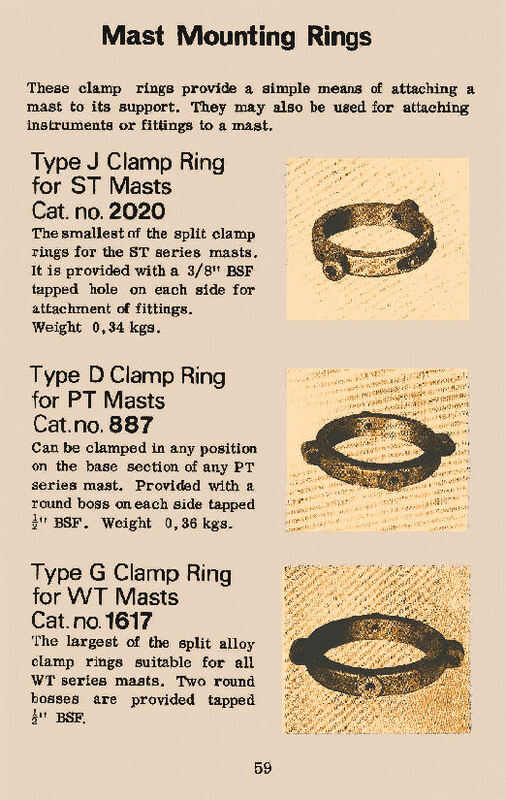 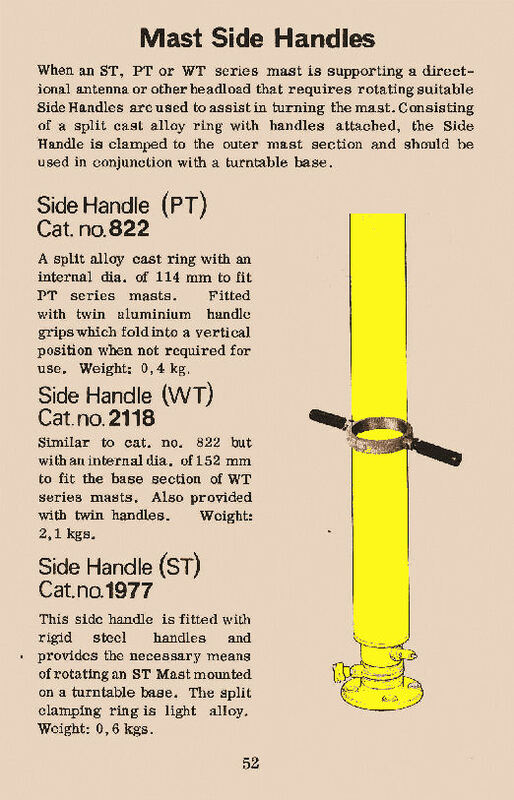 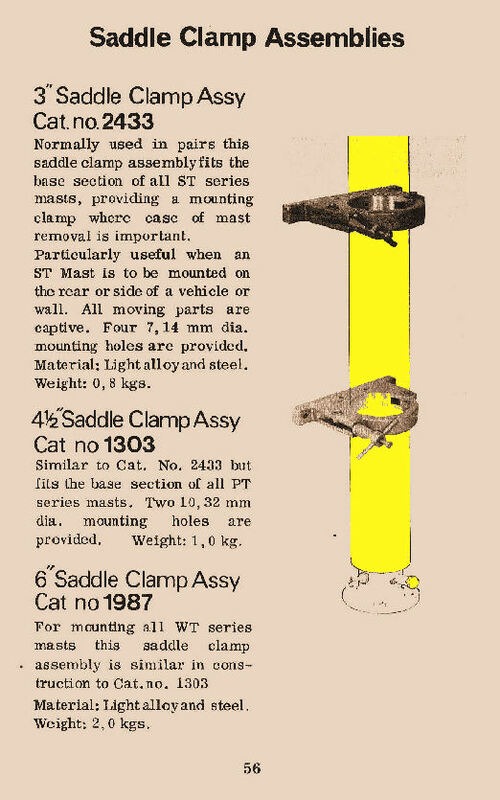 Illustrated in this web page, for historical purposes, are a range of Mast Fittings and Mast Mountings pages from Clark Masts early 1970's catalogue. 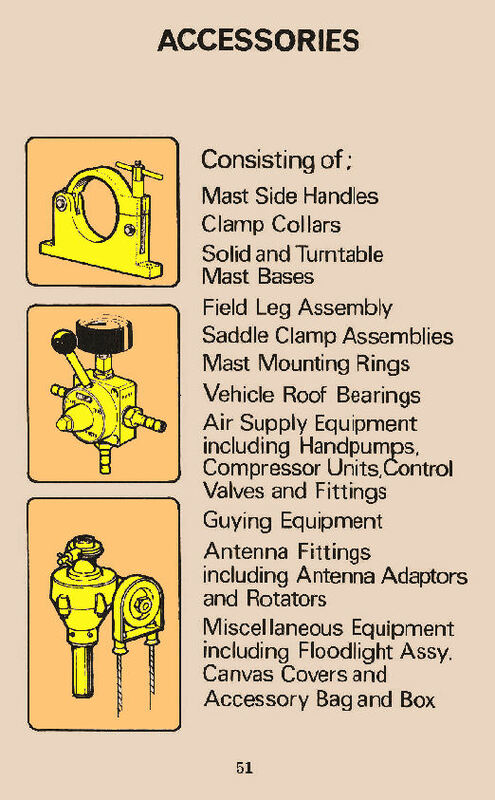 Clark Masts produced a range of mounting accessories and fittings for their late 1960's early 1970's masts. 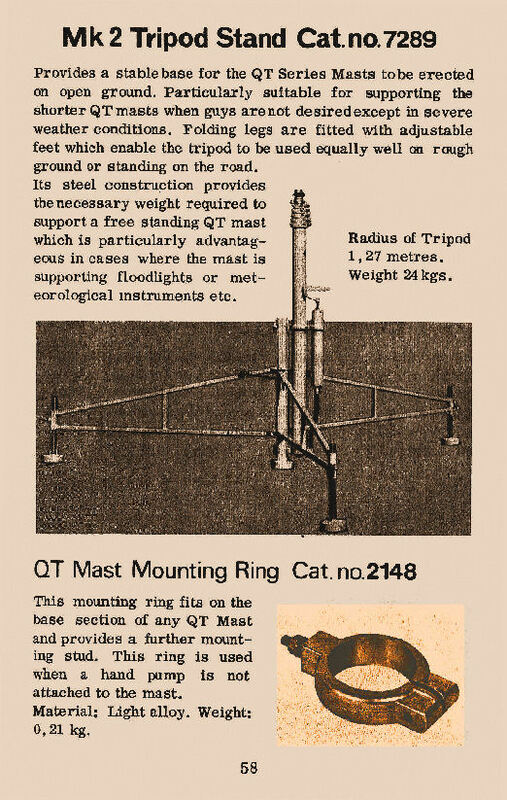 Included were such items as antenna rotators, Saddle Clamps for rapid mast deployment, Side Handles and Rotatable Bases to allow easy rotation of the mast and it's headload. 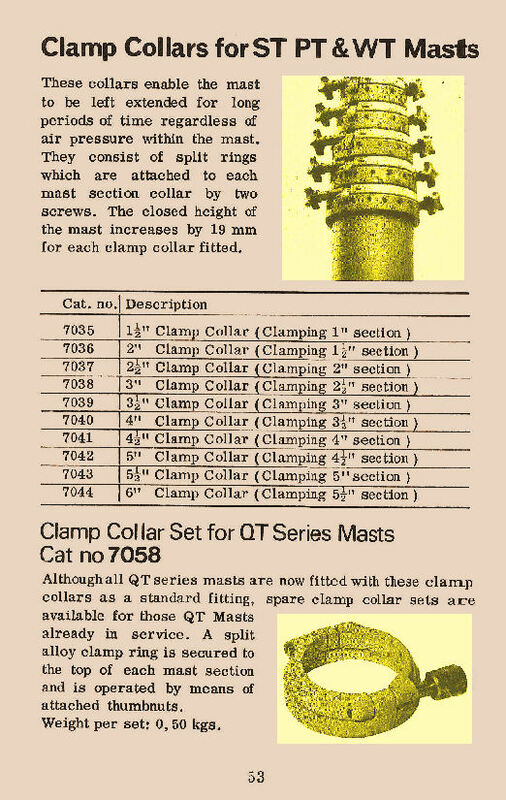 Clamp (Locking) mast section Collars were also available for use on masts that were expected to stay extended for long periods of time. 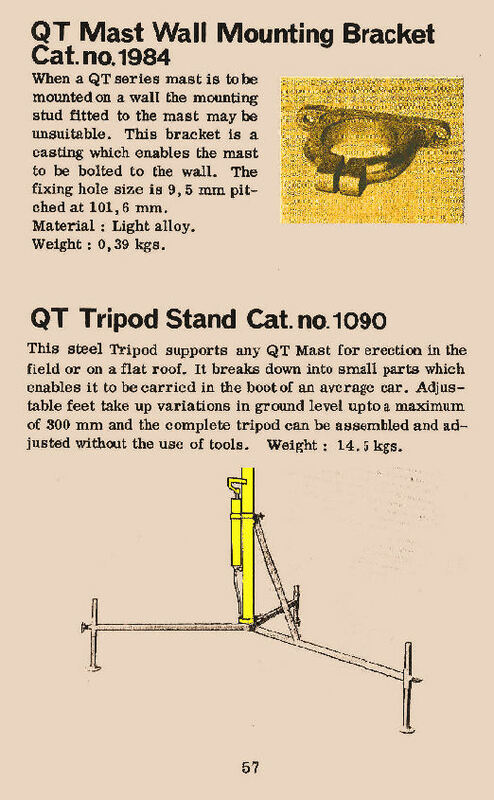 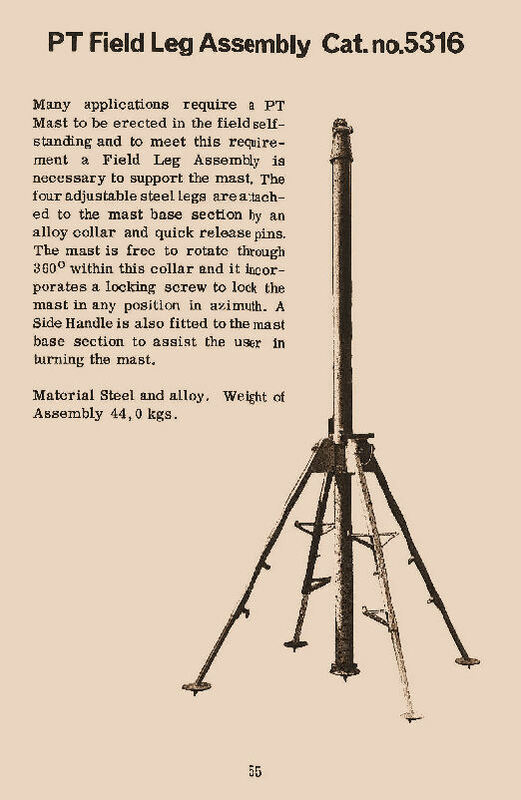 Various Tripods were available for use with Clark Masts masts that were intended for stand-alone field mounting. 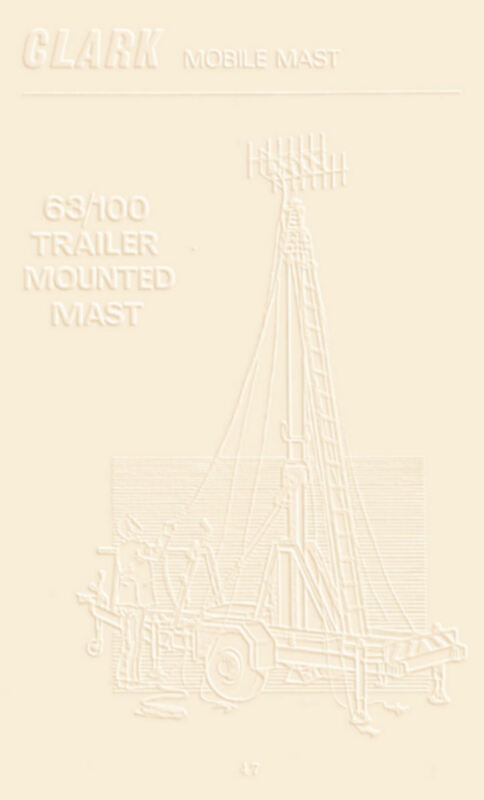 Clark Masts manufactured a range of Mounting Rings which could be used for convenient mast mounting or to attach a load to the side of a mast.